At times people ask me how individual sponsorship works! 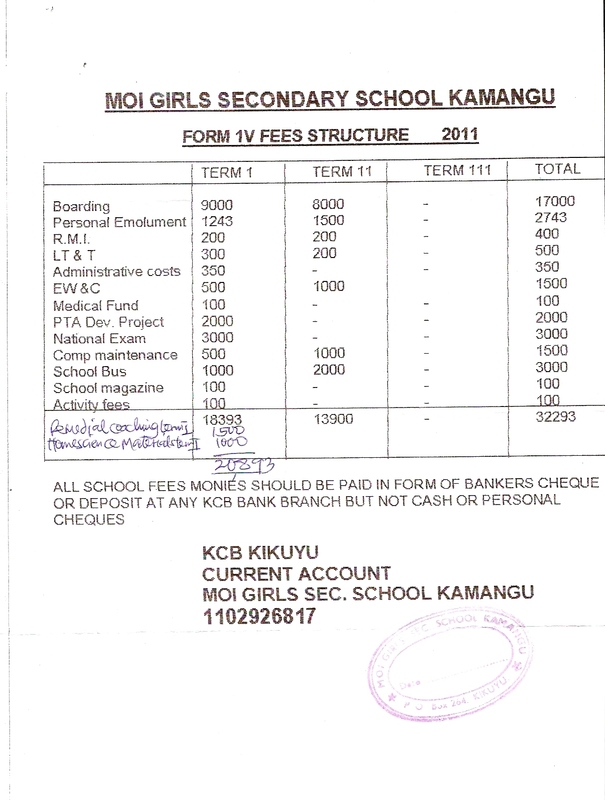 As there are no middle hands for this sponsorship the schools fee structure below is what is required. On my business cards I have written 2000 SEK a year, this figure has turned out to be a bit short, sorry for that. My idea of sponsorship has been to help girls with great potential, being thrown out of school last year in high school due to unpaid schoolfees. This ambition has given 4 girls sponsors! Sara, Theresiah, Rita and Rose! With an aim to help someone who almost managed school all by themselves economically…. the debts (reason to be thrown out) need first to be cleared and then fee for the last fourth year. This has totalled to about 4500 SEK a person. These four students accounts have been cleared through the involvement of many people in Sweden. The first two involved about 16 people and the last two has involved only 1+4 people. My vision is that many people can do alot together. We are all happy for these four young women and their brighter future. 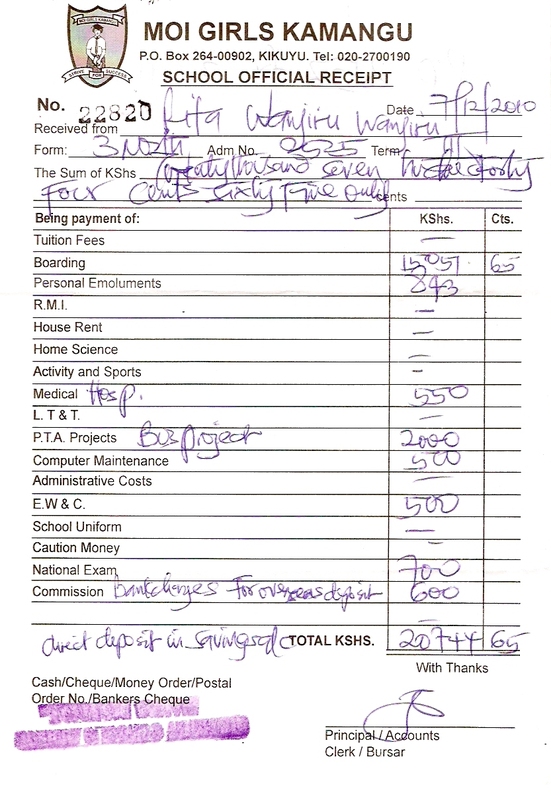 If there are sponsors that are willing to bear the costs of about 4500 SEK themselves, of course the poor family that my friend teacher Robert finds at Moi school in Kenya will be overwhelmed. I enclose an example of reciepts scanned and sent to me. This is the reciept clearing the debt balance of Rita Wanjiru. For my part I will focus on the club of 100 at LA Unica! Electrification project!